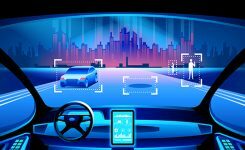 The U.S. Department of Transportation’s most recent document preparing for the future of self-driving cars almost entirely ignores positioning, navigation and timing (PNT) needs, according to the Resilient Navigation and Timing (RNT) Foundation. And when it does address GPS, it gets things wrong. A Dec. 3 deadline looms for interested parties to file their comments with DOT. In comments submitted to the department’s docket for “Preparing for the Future of Transportation: Automated Vehicles 3.0,” the Foundation — of which I am president — observes that the document does not address GPS service denial at all. While GPS spoofing is mentioned once, the two activities cited as addressing the problem are not PNT-related efforts. The comment period is open until December 3. Interested parties can make their own comments and read those already submitted at the website for Docket DOT-OST-2018-0149. The cited comment from the RNT Foundation states that, while most self-driving cars are being designed to navigate without external inputs, GPS/GNSS will still be required to initialize location information for vehicle cold startups. Also, most vehicles will reference GPS/GNSS when communicating their positions to other vehicles and traffic control systems. Much of the benefit of automated vehicles will come from their participation in Intelligent Transportations Systems. This means wireless networks. 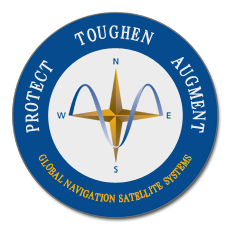 The RNT Foundation also urges the department to consider these networks’ critical dependence on GPS timing synchronization in their plans going forward. The Secretary of Transportation has had a mandate to provide a backup capability for GPS since 2004 that has not been acted upon. The RNT Foundation comments observe that doing so could greatly mitigate all of the concerns mentioned. Dana Goward is president of the Resilient Navigation and Timing Foundation, based in Washington D.C.